Backpacks have always been my number one choice of bag (or clothing accessory?). While browsing backpacks on Amazon, I came across the JanSport Hatchet and immediately fell in love. I originally wanted a different color combination but since I’m a Prime member, I chose to buy it off Amazon instead – hello, free shipping! I got one for Chris too as a Valentine’s gift for our future hikes/trips together! And to add, I love browsing through Pinterest and Etsy; when I came across the idea of adding patches to my backpack – I thought, why not? And to make it even more personal, I started browsing the Internet for patches of all the national parks I’ve been to. I got lucky because the ePark website exists! I got even luckier when I came across For The Love of Patch on Etsy. All the patches in this Etsy store is to die for! I snagged up my backpack’s first three patches from here! For all your patch needs, check out For The Love of Patch! Right now, I’m in the process of purchasing more patches. Say hello to my new patch affair aka my new project! Nice! Love that backpack too, red is such a great color to choose 🙂 Happy collecting patches! 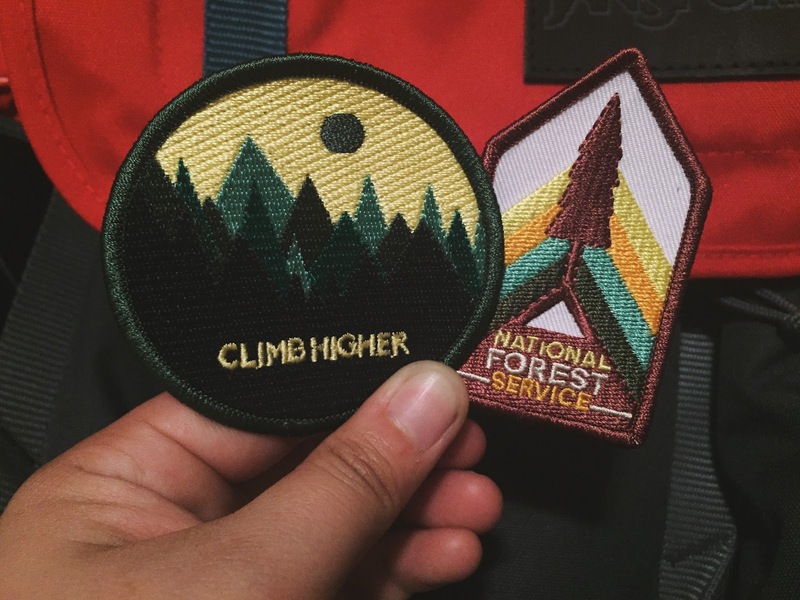 I absolutely love these patches – probably because it brings me back to my Girl Scout days but I love that patches and pins are back in fashion. 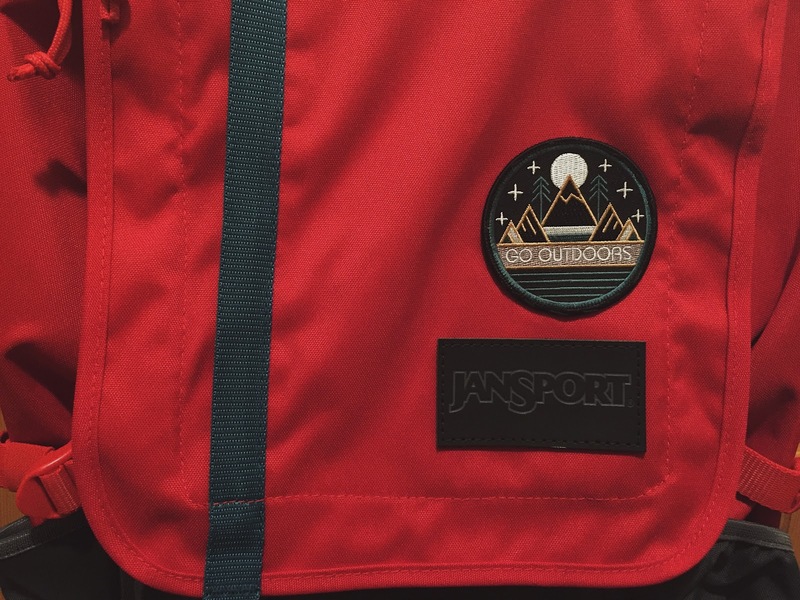 Really loving your "Go Outdoors" one so much, and it looks perfect on your pack. Hahaha! I was totally a Girl Scout back in the days too – earning those badges and proudly displaying them was what made that organization super fun! Yes! Patches on a denim jacket would be so cute. And I think you'd totally rock that denim jacket, Audrey! I seldom see patches but they were not interesting to me until now. The ones you have are great. I am a backpack type of person so this looks interesting to me. Backpacks are basically the best because not only can you find cute ones you can put lots of things inside them. The patches are so adorable! Patches are a cute idea! I don't have anything with patches on either, denim jackets with patches are awesome though. I used to think backpacks were dorky, but I love them now for their utility. 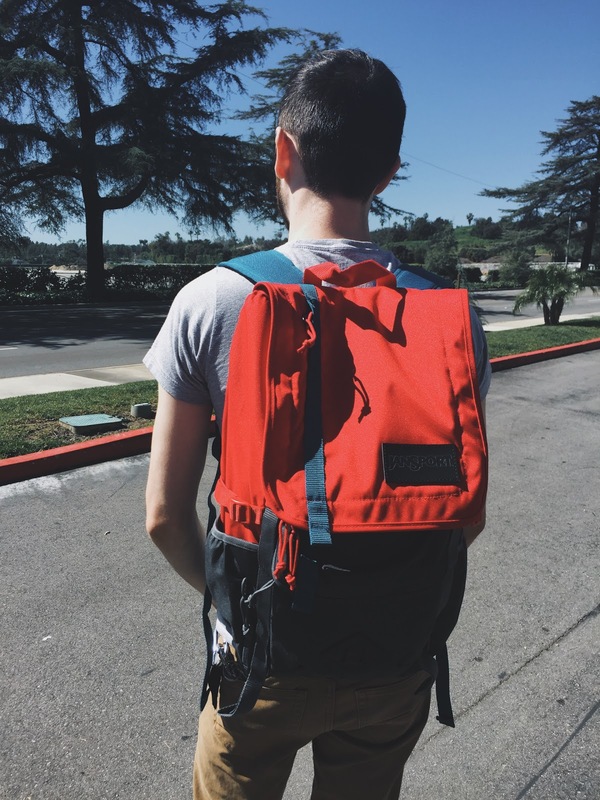 A good backpack is a must for trips to the great outdoors! I didn't know eParks was a thing, either! I'd want to put them on denim jackets someday but sewing on denim sounds so tedious! I have so many Jansport backpacks, I think I might be a hoarder. However, I don't have one in that style! The one I have in that style is a Herschel one. I really love this kind of design because it is ideal for hiking and trips, like you said. I'm also digging the patches. I think they're on trend right now, everyone is sewing patches into bomber jackets but it's refreshing to see it on a backpack!